Pictured are, from left: Judy Lee, Georgia Reeves, Hancock County Food Pantry Executive Director Jim Collins, Nancy Moynan, Regan Carney, Susan Thompson and Dale Simmons. ​"The annual Souper Mudfest was a success, as always" according to event organizer Nancy Moynan. The Old Town Merchants Association celebrated Souper Mudfest as part of the Second Saturday Artwalk. Participants purchased 662 hand-made soup bowls made by local potters and visited local merchants, who provided free soup, chili and stew. 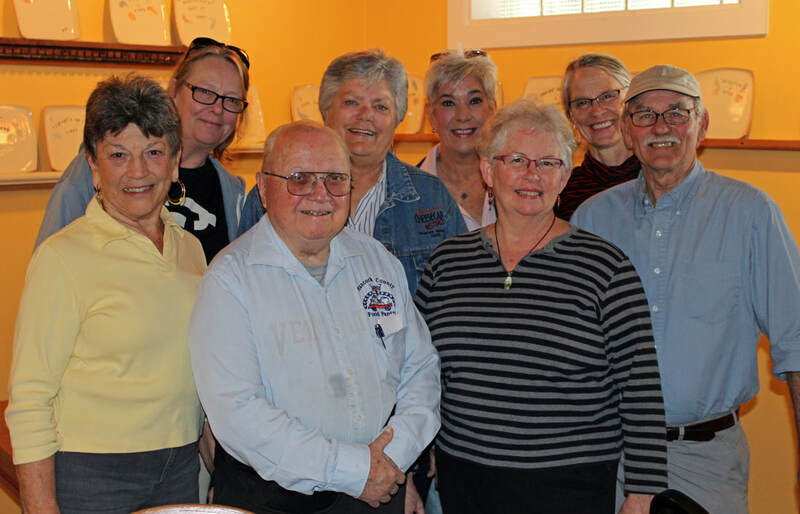 The funds raised benefited the Hancock County Food Pantry, Hancock County Tourism and the Old Town Merchants Association.The Hancock County Food Pantry received $1,610 from the proceeds of the event.